DETROIT (AP) — On the day his No. 3 was retired by the Detroit Tigers, Hall of Famer Alan Trammell did some campaigning for his longtime keystone partner. Trammell was inducted into the Hall late last month, and now his name and number are on the brick wall beyond one of the bullpens at Comerica. Whitaker was on hand for the ceremony, which delayed the start of Detroit’s 7-2 loss to the Chicago White Sox on Sunday by about a half-hour. Trammell was with the Tigers from 1977-96, establishing himself as one of the game’s top shortstops. Whitaker was right alongside him at second base, playing for Detroit from 1977-95. 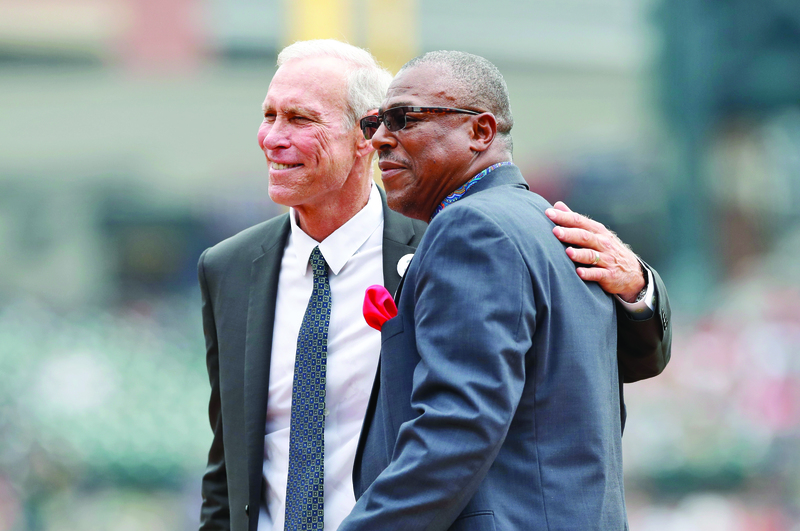 Trammell and Whitaker were both with the Tigers in 1984, when they won the franchise’s most recent World Series title. Trammell was inducted to the Hall of Fame this year along with another member of that team, pitcher Jack Morris — and Morris also has his number retired on the wall next to Trammell’s.